Tao Te Ching with a brief introduction. The Tao Te Ching is today the second most widely translated book in human history. It forms the fundamental core of modern Taoist philosophy and has informed the beliefs and mode of life of the people of China for millenia. 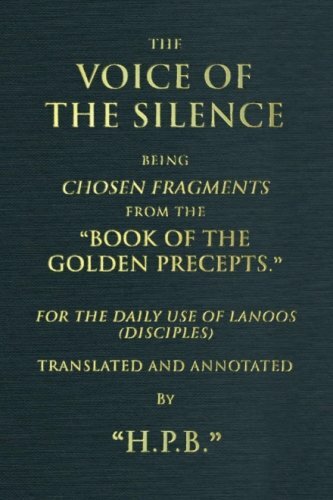 While H. P. Blavatsky remarks that this work is “a kind of cosmogony which contains all the fundamental tenets of Esoteric Cosmo genesis.” 1 it is most commonly read in its role as a work of morality and ethics, of psychology, health, social and political life, and overall for its profound instructions on our approach to daily living. It is immediately apparent upon first opening The Tao Te Ching that it is an exceedingly practical book. What that Tao is cannot be said, cannot be put into words, for words (or concepts or thoughts) merely limit That. All that can be said is said in order to point towards the Tao, and this is what we find throughout the Tao Te Ching. These opening verses of the Tao Te Ching encompass the essence of the work. Indeed, in a certain sense we may see the remainder of the work as but an elucidation of these opening lines. There is a central injunction in the Tao Te Ching to let go of one’s limitations, to surrender one’s restrictive concepts, beliefs, personal desires and one’s assumed role as the instigator of action. It is a giving up of all that belittles the true nature of the Tao—which is our eternal essence—and thus it is a surrendering of that which keeps us bound to our small sense of “I” which leads inevitably to alignment with the Tao. It is this center that the true Sage resides within, wherein the illusion that “I” myself am causing the wheel to spin gives way to a selflessly detached calmness wherein, recognizing the truth of our oneness with the Tao, one simply allows the wheel to turn. “Hold on to the center.” Lao Tzu instructs. And time and time again he reminds us. If one gains nothing else from a study of his masterwork, they will have learned enough if they can remember to practice this one simple thing: remain centered—in oneself, in one’s mind, to one’s heart, to the Tao. There is much depth and many layers upon which we may study the Tao Te Ching, but as is most often the case, it is the simplest truths that speak directly to our hearts. When one studies the Tao with a calm mind and a centered heart its profound depths begin to arise effortlessly within us, flowing as a bankless river through the entirety of our being. The Tao moves of its own; it does not need us to move it. It arises in our hearts of its own; all we must do is step out of its way. See also our section on Taoism for articles that expand on the teachings of the Tao.